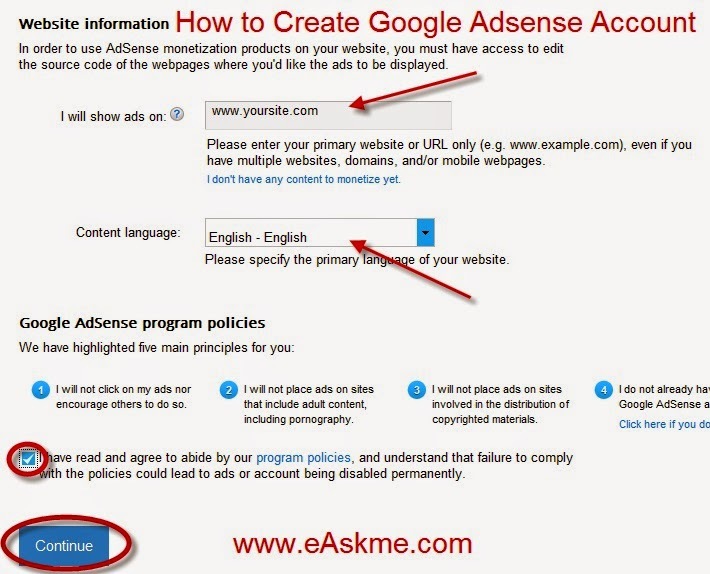 How to Create Google Adsense Account ? Today every single blogger know has heard of Google Adsense. Google Adsense is the best advertising network that give contextual ads on your blog. Today I will show you how to create Adsense account for your blog or website. The day when I signed up for Adsense, I didn`t had much knowledge about it till the time. 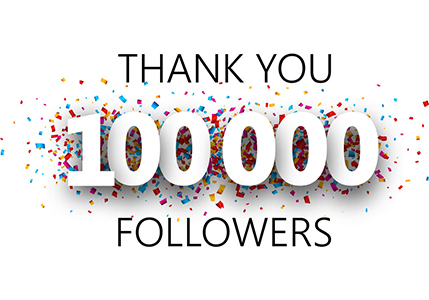 It is a product of Google and an advertising program for publishers. Adsense place ads on your blog and when anyone click on those ads you will get paid for that. Your website should have quality content. Your blog should have good number of daily visitors. 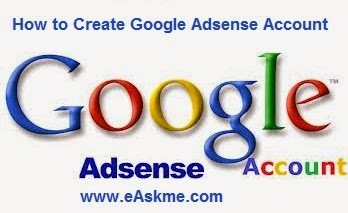 How to Create Adsense Account ? Click on "Get Started Now" button to signup for adsense. Enter your blog URL, choose language of your blog and click on "Continue". Enter Your details Country, account type, Payee name, address, timezone, postal code, phone number, and click on "Submit" button. make sure when you enter payee name you do not make any mistake in spelling. You will have to wait for some time that can be between 24 hours to 7 days. You will receive an email in your inbox from adsense that they have accepted your request. You will Adsense policies page, accept terms and conditions and click on "I Agree". Now you will see Adsense page will open. It will show you two options. first to make ad unit to put on your blog or website. Second that you paste ad code in in your blog or website. 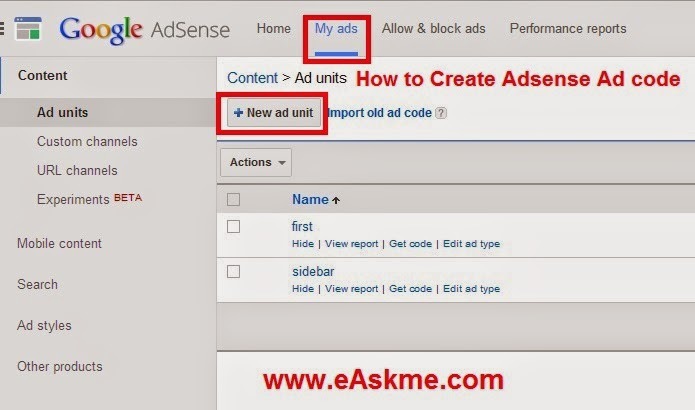 How to Create Adsense Ad code ? Click on "My Ads" tab. Click on "New Ad Unit". Enter name of your ad unit in "Name". Select ad size in "Ad Size". Click on "Save and get Code" to get the code. Now you will see ad code, copy that code and paste that code in your blog or website. First ad will show as black space and you have to wait for email from adsense. Within 24 hours Ads will display on your blog or website. When you account have $10 earning after that Adsense will issue your letter with address verification pin. 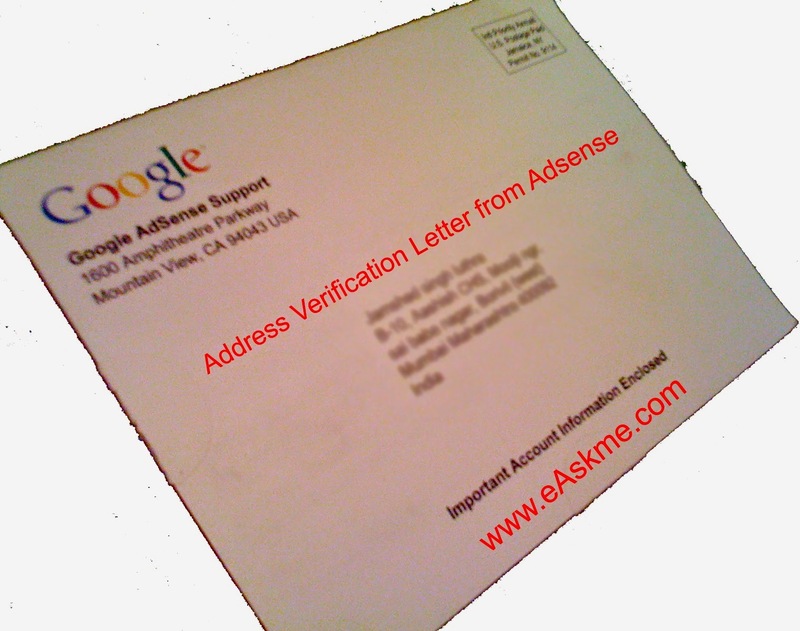 A red line will show on your Adsense account asking you enter the code of verification letter. After few days you will relieve that letter. You will see a code in that letter. Click on the "Verify Pin" in and enter the pin that you see in this letter. This will complete your address is verification and red will not show anymore. Enter bank details in "Form of payment" tab. This tab enables only if your payable earnings on payment history reaches $10.00.